Steven S. Shagrin, JD, CFP®, CRPC®, CRC®, RLP®, CMC, is President of Planning For Life, a holistic life transition, life planning and retirement education company. Better known as “Shags,” Steven is dedicated to providing lifelong learning for adults of any age and at any life stage through his one-on-one meetings, small-group workshops, and distance-learning sessions. He is an experienced retirement presenter for consumers. Steven has 25 years experience in retirement financial planning and modeling, and nearly 20 years as a financial consultant. Steven is also an attorney, Certified Financial Planner licensee, Chartered Retirement Planning Counselor®, Certified Retirement Counselor®, and an Enhanced Lifestyle Planner. Steven received his B.B.A. from the University of Miami (FL) and his J.D. from Case Western Reserve University, with an emphasis in tax and estate planning. Steven is general editor of “Facts About Retiring in the United States” (H.W. Wilson, 2001) and author of “Managing My Life: Managing My Money” (Heart & Spirit, Inc., 2006). He is a speaker on financial planning and investments at company-sponsored Pre-Retirement Seminars presented at General Electric, Halstead Industries, Babcock & Wilcox, Ford Motor Company, and others. Steven also is a speaker for professional audiences on financial and life-planning topics to the Institute of Management Accountants, Internal Revenue Service/Youngs-town State Univ., Mahoning County Bar Association, American Society on Aging, the International Society for Retirement & Life Planning, the Association for Financial Counseling and Planning Education, the Financial Planning Association, the Garrett Planning Network, the Canadian Association of Pre-Retirement Planners, the National Association of Personal Financial Advisors, and others. “Understanding Your Relationship With Money“: Introductory talks being given to Bay Area organizations such as Rotary & other service clubs, special groups seeking speakers, and small businesses seeking an interesting program for their employees. “Understanding Your Clients’ Relationship With Money“: A one-hour Continuing Education program for attorneys (CA), accountants, CFP® certificants, CLUs and ChFCs (Pace Credit). Managing My Life — Managing My Money, an e-workbook for the multi-part Managing My Life personal improvement self-study workbook programs. Facts About Retiring in the United States, General Editor of a 777-page book published December 2001 by The H.W. Wilson Company for reference departments and libraries. “Your Retirement Matters” – a 12-week radio show in Phoenix, AZ and Providence, RI, featuring guests of national renown and expertise in the myriad facets of retirement and life planning, 1999. “Financial Planning & Investment Choices”, Complete Retirement Workshop, Contributing Author to a publication of the Bureau of Business Practice Editorial Staff, Prentice Hall, June 1993. “Pre-Retirement Planning: How to Develop a Workable Spreadsheet”, article prepared for Management Accounting magazine and talk presented to Akron &Youngstown Chapters, Institute of Management Accountants. Also an article published by the International Society for Retirement & Life Planning and presented to the Association for Financial Planning & Counseling Education Annual Conference, 2001. “Estate and Financial Planning” – a 16-week course for employees of RMI Corp., Niles, Ohio — covering the topics of financial planning & investments. “Pre-Retirement Planning”, programs offered by General Motors Corp. to salary and hourly personnel — covering the topics of financial planning and investments. Ask the Expert for local ABC affiliate station WYTV-33, Mondays on the Daybreak Show, May 2003-May 2004. Have Steven Shagrin speak at your event! Steven Shagrin is one of many experienced speakers and keynote presenters on a variety of topics for your retirement professional development or consumer group. Please contact us today via email or phone 847-686-0440 x102 if you would like to have Steven Shagrin present at your conference or appear at one of your events, or to receive a free voucher to view a sample of one of our speaker’s work. 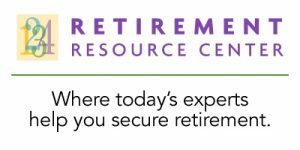 Find courses and products from Steven Shagrin at the Retirement Resource Center.